Colette Urban is a visual artist working in the area of sculpture, installation and performance. The subject of Urban's work is guided by her interest in questions of identity and response to landscape. Her work challenges boundaries between artist and audience as she develops viewer activated installations that address the political and social structures of domestic and/or public space. The performances, often inspired by the installations, refer to personal narratives questioning issues of gender. Urban's use of recycled materials and her methods of construction and presentation are in response to the installation and/or performance site. The performances are temporal expressions that exist after the event as photographic or video documents. Her performances and installations have been exhibited in Italy, Great Britain, The Netherlands, United States and across Canada. Recently Urban was the subject of a documentary film Pretend Not To See Me where she restaged eleven performances. This film was directed and produced by Katherine Knight and Site Media Inc. 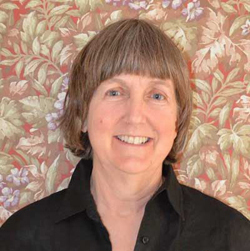 In 2006 Urban retired from a teaching position at the University of Western Ontario and moved to McIvers Newfoundland where she established an art retreat, Full Tilt Creative Centre, to attract contemporary art makers to the west coast of Newfoundland. As Professor Emeritia from UWO Colette has traveled extensively as a guest speaker giving lectures about her work and her adventures as an entrepreneur. “Hoot”, Citizen Jane Film Festival, Columbia, Missouri, Min. “Oh My,” Mount Saint Vincent Gallery, Halifax, N.S. Simon, Vida and Essi Kausalainen. Take Out: Performance Recipes for Public Space = Prête à porter: Recettes de performance pour l’espace public. Montréal, QB: La Centrale, 2004.